If you wish to endeavor great things ahead of your affiliate career, I suggest you go pay the hefty fee and avail affLIFT right now. Even though it’s slightly expensive, the quality of content and information I found on the forum, is undoubtedly going to make you rich. Affiliate marketing has become a big deal over the last few years. As more people are promoting their products and services online, affiliate marketing has taken over the industry like a storm. It’s blown other promotional strategies right out of the water, and for good reason. Being an affiliate is extremely beneficial and helps you earn a decent amount of money if you know what you’re doing. To be a good affiliate marketer, you need to be aware of every nook and cranny. You cannot leave a single stone unturned and must acquire proper knowledge regarding affiliate marketing. If you’re already in this business, then you must know getting a hang of it is no child’s play. People pay huge amounts of money on courses just to get a basic understanding of CPA marketing. If you take my word for it, there’s really no point of spending hundreds of dollars on such courses. You could learn and educate yourself about the affiliate field if you know where to look. I’m here to help you out with that. If you wish to learn more about the affiliate business quickly and efficiently, affiliate forums are obviously the best solution for it. I believe they are way cheaper than online courses and in terms of reliability, there’s nothing which can beat these forums. If you’re an affiliate struggling to get a grasp of the dos and don’ts of affiliate marketing and along with it want to learn latest tips and tricks, then affLIFT is the best thing that could ever happen to you. 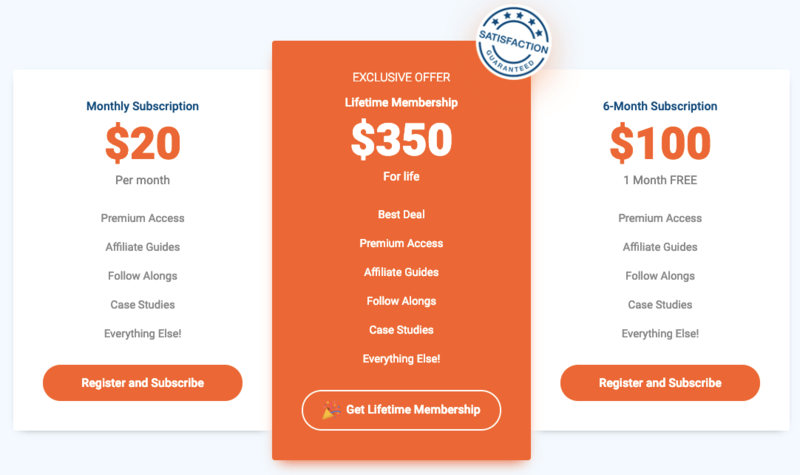 affLIFT is an affiliate forum which consists of CPA campaigns case studies and ensures affiliate marketers to connect better with the norms of the CPA world. 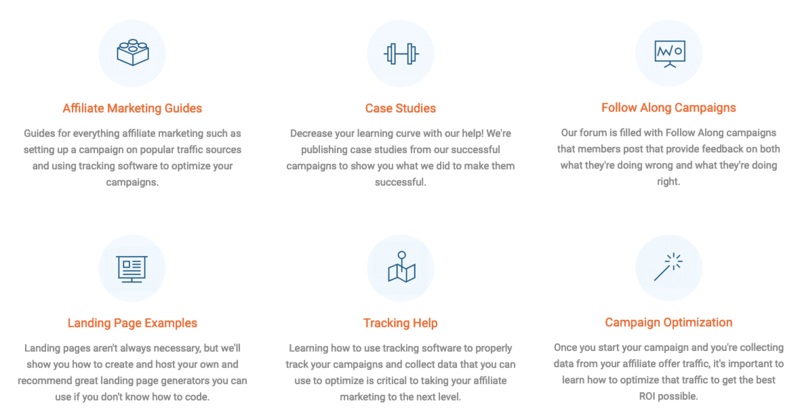 affLIFT offers assistance in carrying out successful and most profitable campaigns to garner pleasing revenue through its guides, tools, examples, case studies and much more. 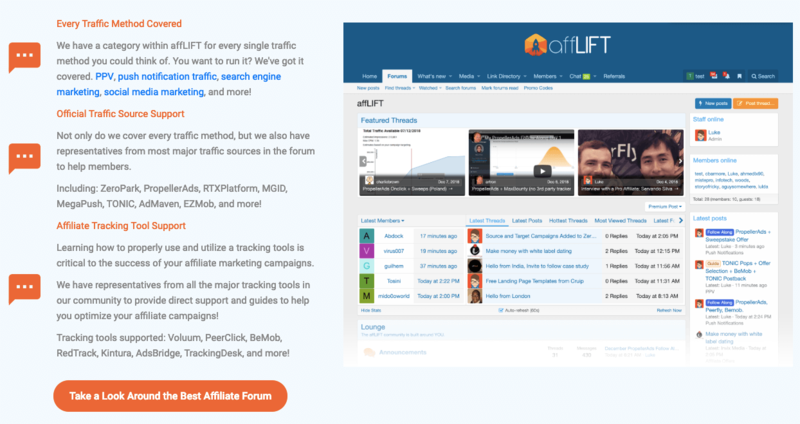 affLIFT hasn’t been in the business for long, but it’s already a success for bloggers hustling in the affiliate promotion area. In addition to that, affLIFT’s founder Luke Kling and his team publish regular informational posts which contain quality content about the tools and softwares of the CPA arena. Affiliate marketing is full of learning curves. There’s always something which lacks in your CPA campaign no matter how many strings you pull. 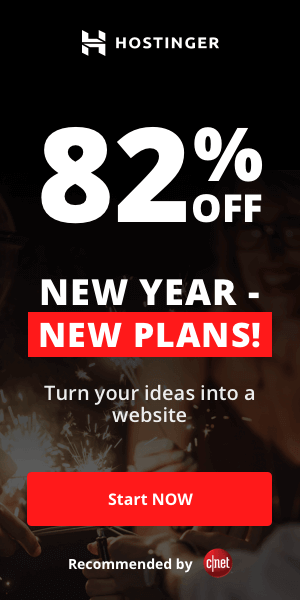 Unless you’re some sort of a CPA genius whose knowledge goes beyond us mere affiliate mortals, you will always feel there’s some space for improvement in your campaigns. 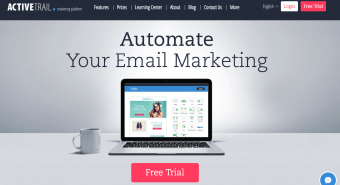 After all, you would want your campaigns to bring in maximum revenue right? Well, affLIFT has made it a habit of publishing frequent case studies by experts who narrow down their own successful campaigns and in those case studies; they help us acquire information which only a professional could provide from his own experience. Learn how the experts made their campaigns immensely successful and start implementing it for your own greater good. It’s no secret that the affiliate world is gigantic. As I said, there’s always a learning curve here and there, and one can never stop gathering latest tips and procedures. Suffice to say, it’s a never-ending world. Whether you are an amateur affiliate or a professional one; in between all the new information which the CPA world throws at you, you’re always required to learn something new every day. Thankfully, affLIFT has guides for everything related to the affiliate marketing topic. From optimizing your campaigns to learning about the trendiest tools to boost your traffic source, affLIFT provides all information in thorough depth. Another splendid feature that affLIFT offers are follow-along campaigns. Even though others would disagree, some would say it’s the most important portal of affLIFT ‘s affiliate forum. It’s basically like the case studies but here we have the most recent do’s and don’ts of successful campaigns. You can easily garner information about other CPA experts and have details about their most recent work so you can spare yourself of all the trouble of unsuccessful affiliate campaigns. Just follow in other campaign’s trails and embark on a journey of a satisfactory affiliate network. Landing pages aren’t the most successful source of gathering traffic but it’s highly successful in some cases. If you really know what you’re doing with your landing page and if you’re aware how to entice the viewer and tempt them to visit your site, then landing pages are a great source of optimizing traffic. In order to create the most successful landing page ever, you need to take affLIFT’s never-ending list of examples and get to know how to create or host your own landing page with utmost expertise. If you’re a rookie on the code, affLIFT also suggests a list of premium generators which will create the perfect landing page for your site. affLIFT’s monthly subscription is payable at $20/mo, the 6-month subscription at $100/mo and the annual subscription at $350/mo. Well there you have it; a thorough review of one of the most talked about affiliate marketing forum in the industry as of 2019. Indeed, affLIFT is still very new but in just one year, its reached at a peak which most online forums fail to do in a number of years. The credit for this success rate created by affLIFT goes to none other than Luke Kling. 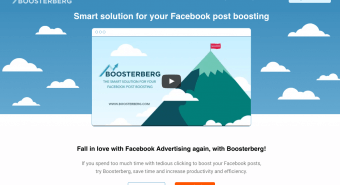 He’s created a whole new world for struggling affiliates like you and me. The success stories published about the campaigns are from an expert and proficient CPA perspective which enables users to lower their learning curve.